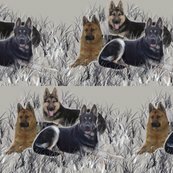 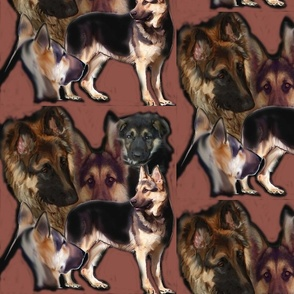 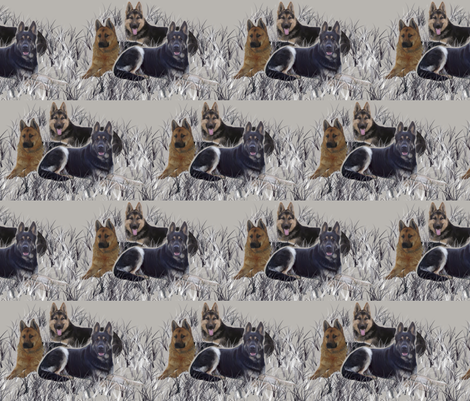 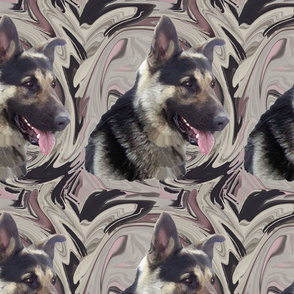 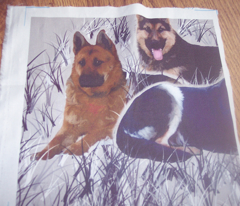 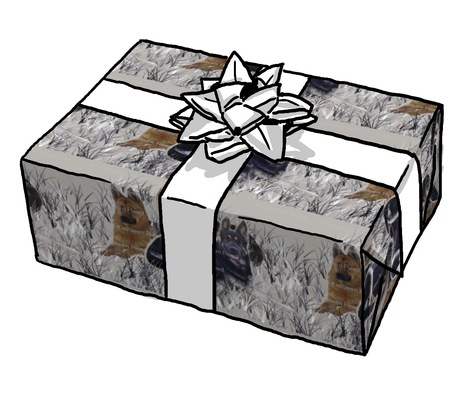 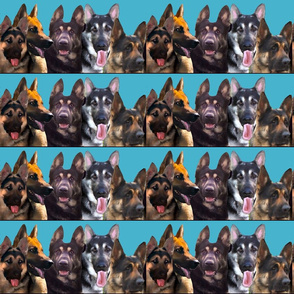 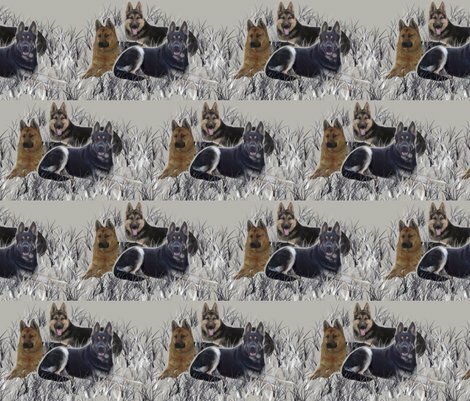 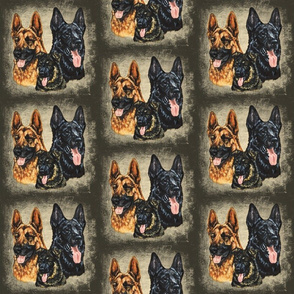 A family of German shepherds on a grey background with grass, interesting patterns and shades of earth tones compliment the three German Shepherds. 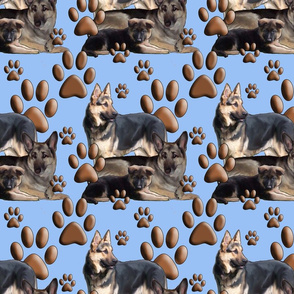 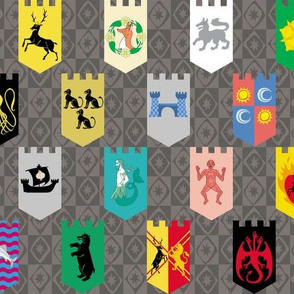 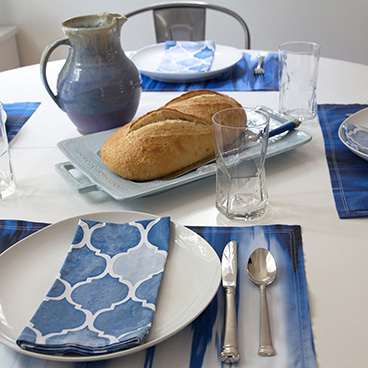 this design is also available in wallpaper. 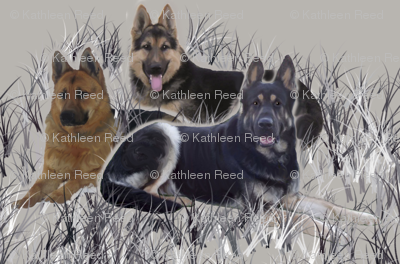 Please contact me if you would like this design in a different size., custom BORDER wallpaper available as well.